The Art of Falling is an adorable novella! This was my first Julie Jarnigan read, but it certainly won’t be my last. I really enjoyed the humor and heart of this touching story, as well as its delightful characters. Wyatt Lawrence and Heather Tornsten are complete opposites and their conflict and chemistry is such fun to read. 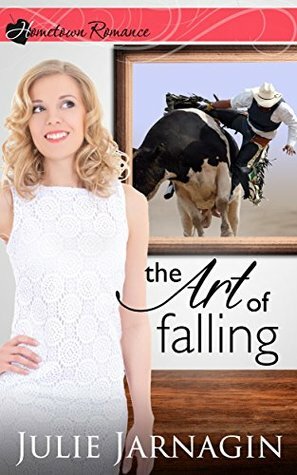 I enjoyed The Art of Falling and am eager to read the next book in the Taste of Texas series! I have this but had not read yet. Think I will have to hurry up.